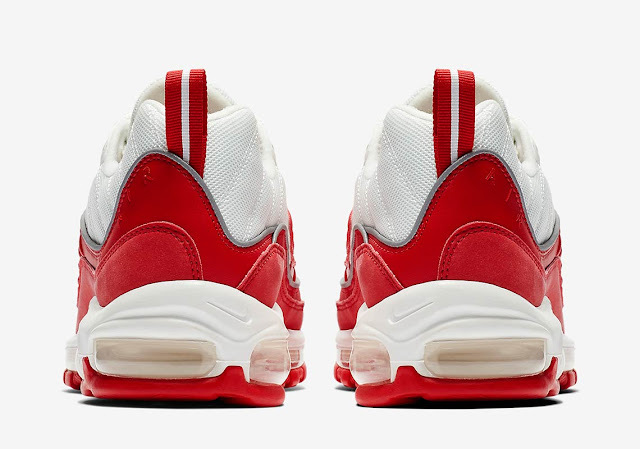 Bold red leather accents sit on top of a stark white mesh base, while a strip of reflective material runs around the red leather midfoot and three more small reflective hits appear on the lace loops and heel tab for low-light style. 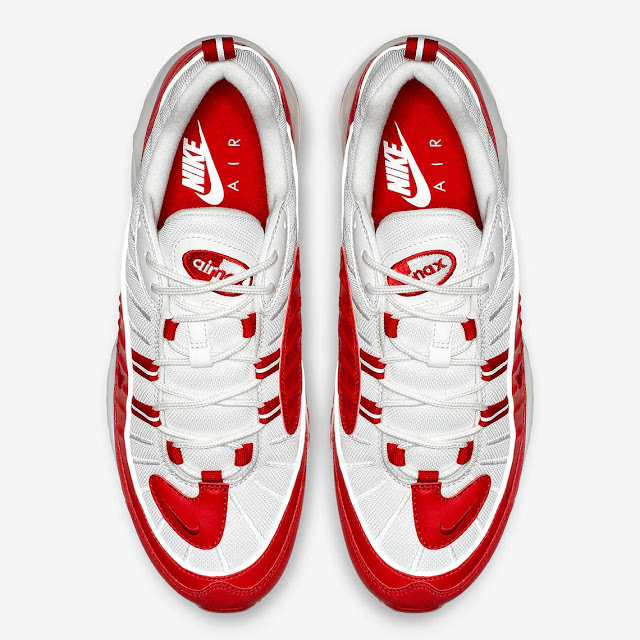 A red nubuck mudguard provides interesting material contrast with the red leather midfoot piece, and the look is then completed by a white midsole, clear Air Max unit, and red outsole. 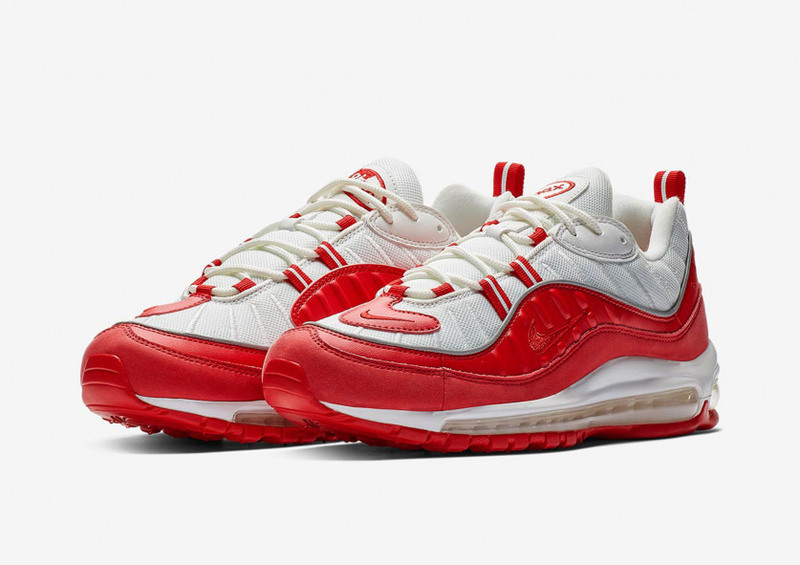 The Nike Air Max 98 - University Red drops Friday 25 January at selected retailers.